Power generating plants are comprised of many different areas, each with distinct equipment that has unique hazards. Implementing a comprehensive fire protection system that includesgeneral contractor testimonial alarm, detection and suppression can be a complex challenge that requires relevant experience and thorough understanding of the intricacies of power generating plants. F.E. Moran Special Hazard Systems has the expertise to design and install every facet of a system, from underground and standpipes to chemical and deluge systems, to effectively protect power generating facilities according to NFPA and insurance company standards. With decades of experience providing fire protection for coal handling facilities, F.E. Moran has an in-depth understanding about how to protect every aspect of coal-fired plants, from conveyors to silos and bunkers. The immense size and inherent volatility of coal handling equipment demands specialized suppression and detection systems that are installed by experienced contractors. F.E. Moran Special Hazard Systems is an industry expert in designing, fabricating and installing fire protection systems in coal handling facilities. Oil, deep beam pockets and obstructions are just some of the factors that make implementing fire protection systems in turbine areas a challenge. Through advanced design methods, combined flows and flexible suppression systems, F.E. Moran can provide a comprehensive fire protection system that is designed specifically for the plant's turbine areas. Solar power is a growing form of energy generation with newly emerging technology. It is essential to choose a fire protection solution provider that has a comprehensive knowledge of fire protection requirements for a variety of energy generation plants. F.E. Moran Special Hazard Systems has been providing fire protection solutions for power plants for over three decades. Their expertise in fire protection options enables them to design solutions custom to plant needs. Solar power plants needs specific fire protection in place to remedy its various fire hazards. F.E. 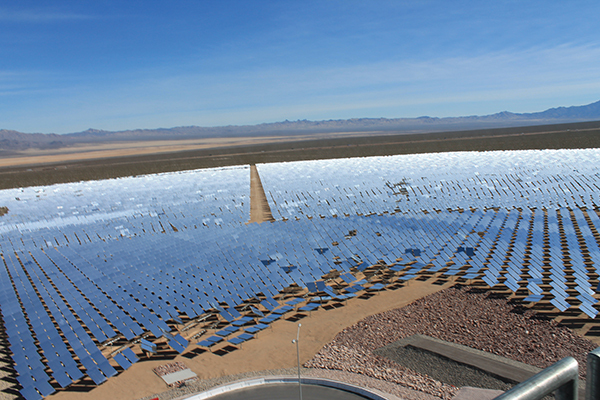 Moran Special Hazard Systems has been the fire protection contractor on various solar power plant projects and knows there needs. The wide range of electrical equipment that is found in power generating plants requires their own individual fire protection solution. Control rooms necessitate a solution that will not damage delicate equipment, whereas transformers must have a suppression system that will be effective in high-voltage areas. F.E. Moran understands the nuances associated with all types of electrical equipment and can implement the most effective protection for each area. Electrical equipment demands unique solutions to address hazards that are inherent to specific applications. F.E. Moran Special Hazard Systems has the expertise that is necessary to quickly and efficiently implement the appropriate fire protection system to minimize potential impact to plant performance. Providing an adequate fire protection solution for equipment such as pulverizers, burner fronts and air preheaters means implementing robust suppression systems and highly sensitive detection systems. Installing systems with multiple levels of protection with consideration for high temperatures ensures that boiler buildings have sufficient suppression and detection in the event of a fire. Applications that include natural gas require reliable, highly sensitive detection to mitigate risk. Fuel oil, diesel and other fuels demand effective detection and suppression schemes that are designed to control volatile fires that can ignite in areas where there is a large concentration of high-risk materials. There is a wide range of cooling tower varieties, each requiring a unique fire protection solution that will satisfy industry standards. F.E. Moran has the capability to implement detection, suppression and wet-down systems for any scale or type of cooling tower. Environments such as limestone and FGD areas require fire protection solutions that are designed specifically for their unique hazards. To mitigate risk, fire protection systems must be meticulously designed and installed to safeguard equipment in these areas.